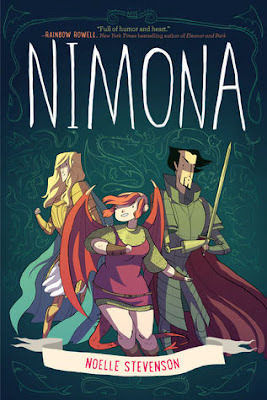 On Monday I reviewed Nimona by Noelle Stevenson. On Wednesday I reviewed All Quiet on the Western Front by Erich Maria Remarque. On Thursday I told you what I’ve been up to in July. On Friday I discussed all things DNF. 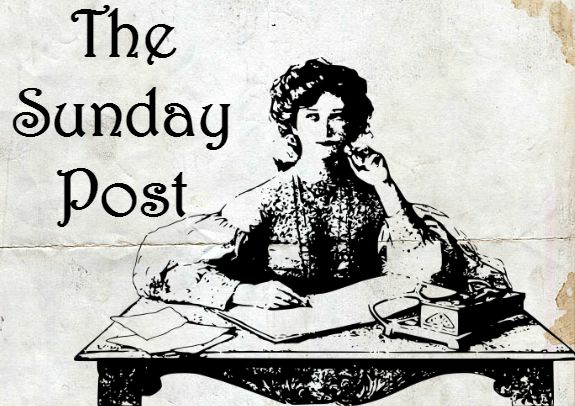 On Monday I review She is Not Invisible by Marcus Sedgwick. 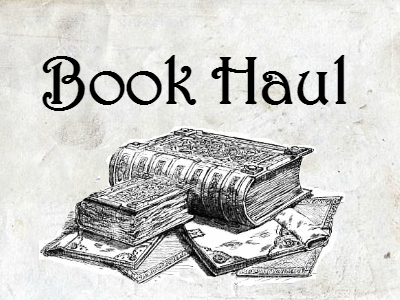 On Tuesday I show you some books I’d buy if I had money. 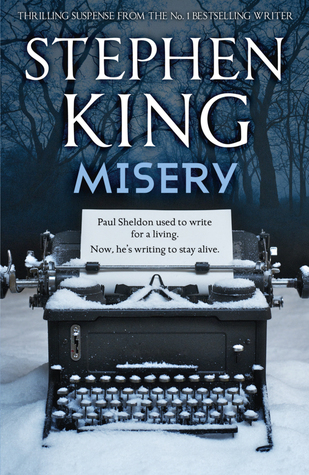 On Wednesday I review Misery by Stephen King. On Thursday I wrap up July. I have eye problems, and they were especially annoying this week. You guys would totally laugh if you could see how massive the font on my computer screen is right now. When I proofread this post, I’m going to have to scroll for years. That’s how big it is. I think I did okay with commenting on other people’s blogs, but I’ve been neglecting the comments on my own. I read them, I promise. Replying just isn’t happening. I kinda had a terrible reading week, and I can’t even blame my eyes for it. First, I DNFed Say You’re One of Them by Uwem Akpan. That’s my second DNF of the year. I decided to stop reading because the stories are unnecessarily long, and the dialect got on my nerves. 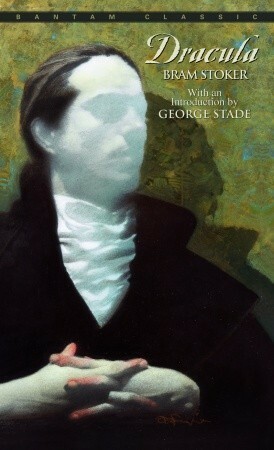 Then I read Dracula by Bram Stoker. I wasn’t a fan of this one, either, but I finished it. Up next is Echo by Pam Munoz Ryan. I bought books. Shh, don’t tell my book-buying ban. I got HBO. What should I watch? Playing fetch with my dog on a day when it wasn’t a million degrees. Incessantly throwing a tennis ball is slightly more pleasant when I’m not sweating like a fat kid chasing an ice cream truck. I made myself a schedule, and I actually followed it. I love it when that happens. I hope you had a great week! See you around the blogosphere! 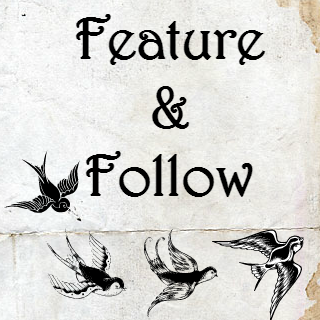 Feature & Follow is a weekly blog hop hosted by Parajunkee and Alison Can Read. This week, we’re talking about the dreaded DNF (Did Not Finish). Not as often as I should. I have problems with quitting, so I often force myself to finish a book which I’m not enjoying, even though that’s utterly ridiculous. I read for fun. If I’m not having fun, I should stop, right? Unfortunately, my brain isn’t that logical. I’ve only DNFed two book so far this year. I should have DNFed more. If you’re curious, the DNFs were Mistborn by Brandon Sanderson and Say You’re One of Them by Uwem Akpan. I DNFed Mistborn because the author's writing style felt amateurish. I DNFed Say You're One of Them because the dialect got on my nerves. What makes me not finish a book? Amateurish writing is the biggest culprit. This is why I tend to stay away from self-published books. I’m a complete writing snob. If I don’t like an author’s writing style, I’ll quickly get irritated and stop reading. I also don’t have much patience for slow or predictable books. I like suspense and mystery. Another reason I DNF is if I feel like an author is trying too hard to manipulate my emotions. I’m rebellious and don’t like books pushing me around. I especially hate it when angsty characters throw themselves giant pity parties and expect me to feel sorry for them. I always feel more annoyance than pity because I'm heartless. When it comes to classics and experimental books, I came up with a bookish mathematical equation to help me DNF. If the equation below is true, there's a very good chance I'll DNF the book. 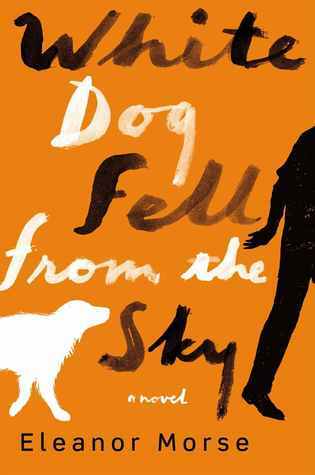 Do I ever un-DNF a book? Do I give books a second chance? I haven’t so far. Like I said, I'm heartless. There are so many books in the world and so little time! I’d rather read something new than give a DNF book a second chance. I don’t even keep books that I DNF. Do I review books I don’t finish? It depends. If I make it most of the way through the book, I write a review that explains why I couldn’t finish. If I don’t make it very far, I don’t review it. It doesn’t feel fair to criticize something I barely read. Do I think DNF reviews are mean? They can be, especially if the reviewer attacks the author or fans of the book. I try to be nice in my DNF reviews. 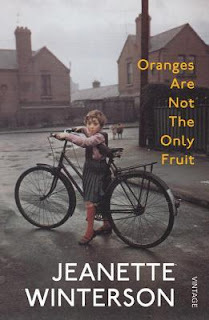 Every book has at least one good thing in it, so I try to mention a few things that I liked about the book, even if I didn’t like the book as a whole. My number 1 rule of book blogging is "Don't be a jerk." I try to keep that in mind when I review DNF books. Those are my views on the dreaded DNF. How often do you DNF books? 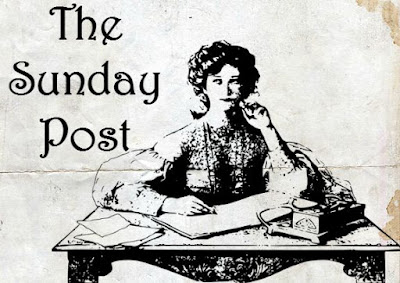 The follow part of FF Friday: If you are a book blogger and you leave a link to your blog in the comments below, I will follow you on Bloglovin’. 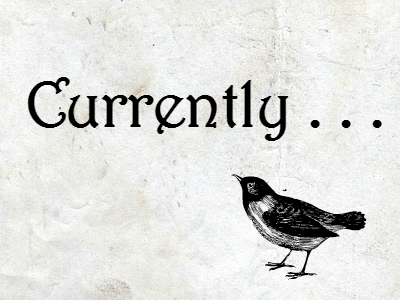 If you want to be friends on Goodreads, Twitter, BookLikes, or G+, that would be awesome, too. Click the links to go to my pages on those sites. I’m looking forward to “meeting” you. I’m Currently . . .
Reading: Dracula by Bram Stoker. Watching: The Great British Bake Off is back on American TV! I have no idea which season this is, and I don’t want to look it up because of spoilers. It probably aired in the UK a thousand years ago. It’s new to me, though, so I’m excited. You gotta love pretentious desserts. Catching up on: This season’s episodes of The Simpsons and Bob’s Burgers. I don’t watch much TV, but when I do, I binge it. Listening to: I recently heard the song ‘The Road Less Traveled’ by Lauren Alaina. It’s fun and upbeat. I had it on repeat while I did school stuff. Eating: Fried green beans at this restaurant near my house. 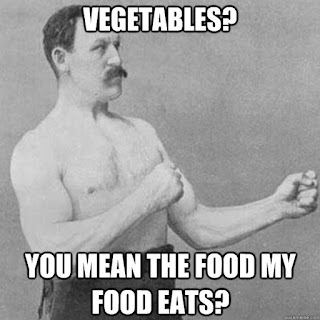 All vegetables should be deep fried. Seriously. Stocking up on: Books. I’ve been on a book-buying ban all year, and I actually started to run out of things I wanted to read. I don’t want my TBR pile to be completely gone, so I went on Book Outlet and bought some cheap books. Goal setting: Be sane about book-buying. I don’t want my TBR pile to be gone, but I don’t want it to be huge, either. Getting rid of: Books on my wish list. Cutting down the wish list was my compromise for buying new books. If I’m being realistic, there’s no way I can read everything on my wish list. I cut the list down from nearly 200 books to fewer than 100. That’s still more than I can read, but it’s slightly saner. Blogging: Bloglovin’ is still broken for me, so I’ve been spending more time looking at blogs in link-ups. I’ve discovered so many new blogs. It’s crazy how many book blogs are out there. Learning: To space out war books. I read three books about war over the span of two weeks. This was extremely anxiety-producing. Then I went on Twitter to look at funny pictures of cats, but my feed was full of people saying, “If you’re not tweeting about (insert current world tragedy here), then you’re a terrible, selfish person.” Sigh. 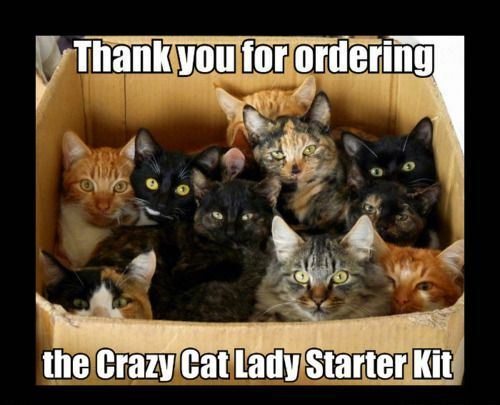 Not enough cats. What did you do in July? This is the testament of Paul Bäumer, who enlists with his classmates in the German army of World War I. These young men become enthusiastic soldiers, but their world of duty, culture, and progress breaks into pieces under the first bombardment in the trenches. Through years of vivid horror, Paul holds fast to a single vow: to fight against the hatred that meaninglessly pits young men of the same generation but different uniforms against one another–if only he can come out of the war alive. 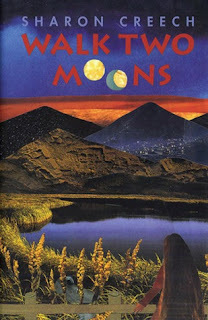 Review: This review is of the English translation of a German book. “Abyss of sorrow”? Depressing, right? This novel tells the story of Paul Bäumer, who joined the German army as a teenager and was sent to fight in WWI. After years of endless trench battles and near-death experiences, Paul’s body and mind start falling apart. He tries to be a good soldier, but as he watches people die, he can’t help questioning the point of this war. If you’re looking for an authentic war story, I’d recommend this one. The author joined the German military as an eighteen-year-old and fought on the Western Front during WWI. He spent a lot of time in military hospitals after nearly getting killed by shrapnel. He knew what he was talking about when he wrote this book. The best part of All Quiet on the Western Front is how it captures both the personal and impersonal nature of war. Paul is fighting because the government of his country told him to fight. The government’s enemies are not his enemies. He has no reason to hate the people he’s killing. Paul is very aware that killing people is just a job that he was given, and the people who are trying to kill him are just doing the job they were given. The war changes the course of his life forever, but he has no personal reason to be there. It’s just a job. Paul understands that government officials are making all of the decisions from the safety of their offices while the soldiers do the dirty work. Governments are the real enemies, not the people in the opposite trench. The book also does a nice job of showing the trouble that soldiers have adjusting to normal life after they leave a war. Most of this book consists of droning, hypnotic violence. There are constant explosions, gunshots, and people dying. When that suddenly goes away, both the characters and the reader are unsettled. The book captures how difficult it is for young soldiers to go from fighting for their lives to sitting in their childhood bedrooms, staring at their bookshelves and wondering what to do next. One of the problems that I have with translated books is that I never know if an author intended a book to be written a certain way, or if the translator translated it that way. Some parts of this book seem oddly formal: the narrator uses “thee” and “thou.” I wondered why. I know this is an old book (first published in 1928), but it’s not that old. The random formal moments seem weird to me. I don’t know if the original German version is like that. I also wish we got to know the characters better. I realize that personality probably takes a backseat when you’re trying not to get exploded, but I didn’t feel anything for the characters. Most of them are names and not much else. Even the narrator lacks personality. The cover of this book calls it “The Greatest War Novel of All Time.” I’m not sure about “All Time,” but if you’re interested in war novels, this is a must-read. It has the authenticity that only an author who has been there, done that can capture. Review: First, this graphic novel gets bonus points for using sexual innuendos as character names. 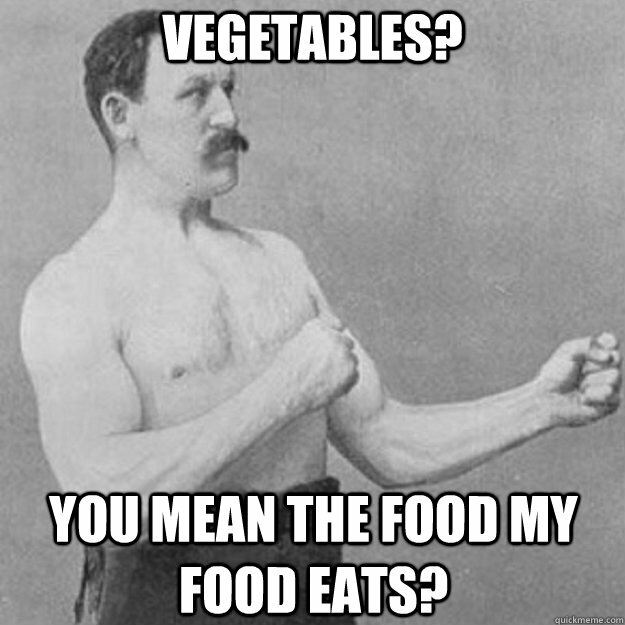 I have the mental maturity of a twelve-year-old, so that kind of humor is very much appreciated. Nimona is a bloodthirsty shapeshifting creature with the goal of becoming a supervillain. She teams up with the most evil man in the kingdom, Lord Ballister Blackheart, and they set out to prove that the Institution of Law Enforcement and Heroics is corrupt. But, when Nimona gets angry, even Lord Blackheart has to admit that his sidekick may be too evil to handle. Nimona takes well-known fantasy tropes and flips them on their heads. What is “Good” and what is “Evil”? Who decides these things? Can a person be both good and evil at the same time? Can a sidekick be a hero? How does love and friendship fit into all of this? 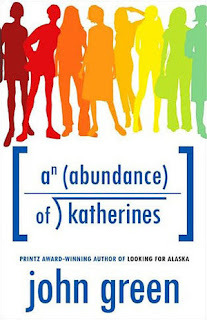 If I had to describe this book in one word, it would be “Quirky.” The characters have a lot of personality. Nimona is spunky and overenthusiastic about committing crimes. Lord Blackheart has a tragic backstory (of course) and a deadpan sense of humor. They make a brilliant team. The humor in this story is pretty juvenile, but I’m an adult, and I laughed. If I had read this book as a kid, it would have become an instant favorite. Admittedly, I’m pretty new to graphic novels (which is why this review is short), but I wasn’t a huge fan of the art style in this one. It didn’t always convey enough emotion for me. Some of it is great, but I often found myself glancing at the art and focusing on the dialogue only. I wish the characters had more detailed facial expressions. I also wanted more from the end. I wasn’t ready for it to be over. What happens next? If there is ever a sequel, I will happily read it. I’d highly recommend this book to reluctant child readers who need a quick, colorful story. This graphic novel is full of humor but also gives the reader something to think about. On Monday I reviewed Forgive Me, Leonard Peacock by Matthew Quick. On Tuesday I showed you some books set outside the USA. On Wednesday I reviewed All the Light We Cannot See by Anthony Doerr. 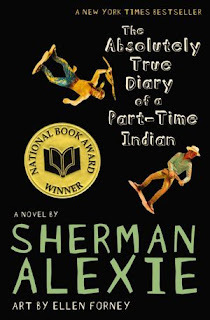 On Thursday I did The Diverse Books Tag. On Monday I review Nimona by Noelle Stevenson. 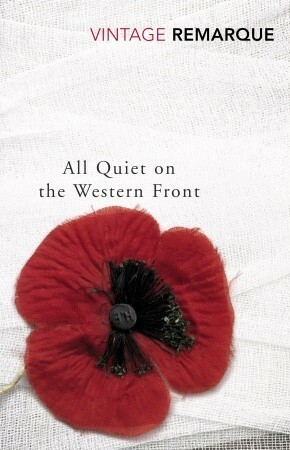 On Wednesday I review All Quiet on the Western Front by Erich Maria Remarque. On Thursday I tell you what I’ve been up to in July. On Friday I discuss all things DNF. 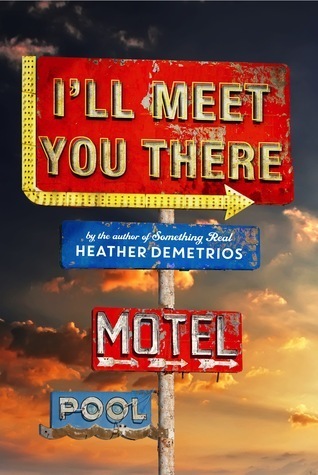 Last week, I finished I’ll Meet You There by Heather Demetrios. 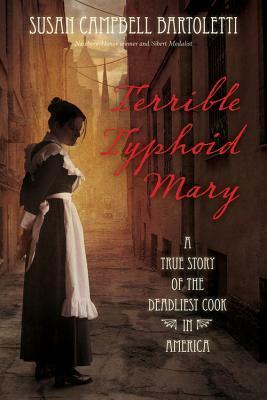 Then I read Misery by Stephen King and Terrible Typhoid Mary: A True Story of the Deadliest Cook in America by Susan Campbell Bartoletti. Right now, I’m reading Say You’re One of Them by Uwem Akpan. Backing away from the computer for most of a day. Going out to eat with my parents and grandpa. Listening to owls at night. There are so many owls around here. 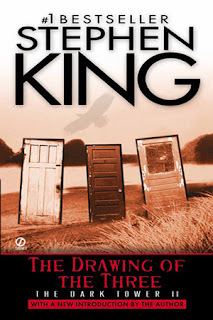 Reading a Stephen King book. They remind me of my childhood. Briefly getting caught up on book reviews. I always seem to be behind. I hope you have a great week! See you around the blogosphere! Each story in this jubilantly acclaimed collection pays testament to the wisdom and resilience of children, even in the face of the most agonizing circumstances. A family living in a makeshift shanty in urban Kenya scurries to find gifts of any kind for the impending Christmas holiday. A Rwandan girl relates her family's struggles to maintain a facade of normalcy amid unspeakable acts. A young brother and sister cope with their uncle's attempt to sell them into slavery. Aboard a bus filled with refugees—a microcosm of today's Africa—a Muslim boy summons his faith to bear a treacherous ride across Nigeria. Through the eyes of childhood friends, the emotional toll of religious conflict in Ethiopia becomes viscerally clear. Misery Chastain was dead. Paul Sheldon had just killed her—with relief, with joy. Misery had made him rich; she was the heroine of a string of bestsellers. And now he wanted to get on to some real writing. The good news was that Annie was a nurse and has pain-killing drugs. The bad news was that she was Paul's Number One Fan. And when she found out what Paul had done to Misery, she didn't like it. She didn't like it at all. 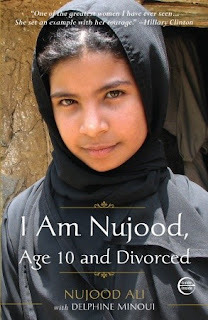 Nujood Ali's childhood came to an abrupt end in 2008 when her father arranged for her to be married to a man three times her age. With harrowing directness, Nujood tells of abuse at her husband's hands and of her daring escape. With the help of local advocates and the press, Nujood obtained her freedom—an extraordinary achievement in Yemen, where almost half of all girls are married under the legal age. Nujood's courageous defiance of both Yemeni customs and her own family has inspired other young girls in the Middle East to challenge their marriages. Hers is an unforgettable story of tragedy, triumph, and courage. 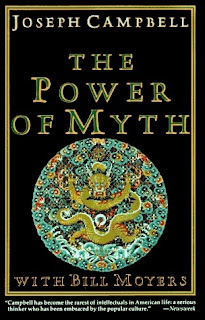 Campbell's most impressive gift was his ability to take a contemporary situation, such as the murder and funeral of President John F. Kennedy, and help us understand its impact in the context of ancient mythology. 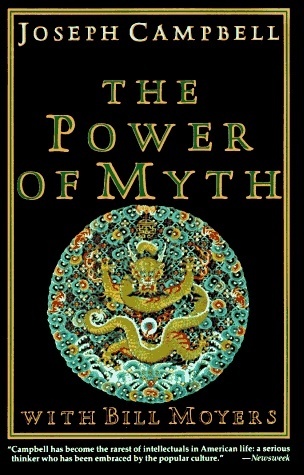 Herein lies the power of The Power of Myth, showing how humans are apt to create and live out the themes of mythology. 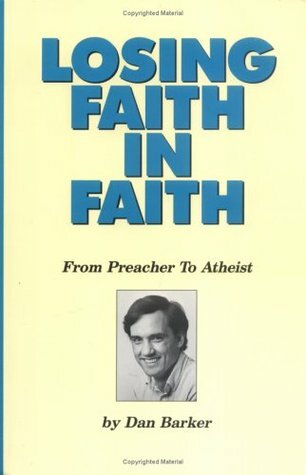 Autobiographical story of journeying from fundamentalist/evangelical minister to atheist. 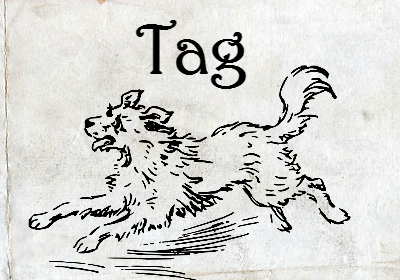 I’m pretty sure that this tag was started by Naz @ Read Diverse Books. 1. 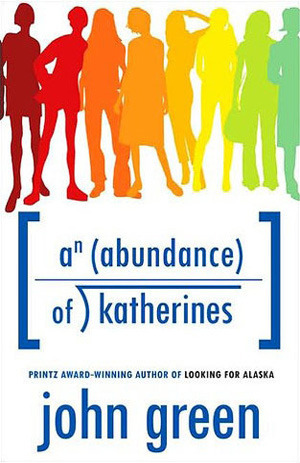 A book starring a lesbian character. Jeanette is raised to be a Christian missionary, but that plan goes awry when she becomes a teenager and falls in love with a girl. 2. A book with a Muslim protagonist. The narrator isn’t Muslim, but his friend, Hassan, is. They go on a ridiculous road trip together. I think Hassan breaks a lot of the stereotypes that Americans have about Muslims. Also, he’s hilarious. 3. A book set in Latin America. I’m a dystopia junkie, and this is one of my favorites. It’s set in future Mexico and features Mexican characters. 4. A book about a person with a disability. 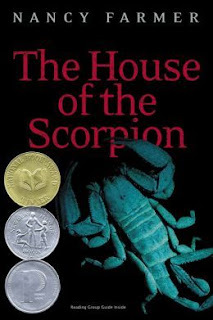 The narrator has cerebral palsy and is convinced that his father is trying to kill him. 5. A sci-fi/fantasy book with a POC protagonist. Honestly, Susannah Dean is one of the most irritating fictional people I’ve ever encountered. She is a very unusual fantasy series hero, though. She’s an African-American woman with no legs and multiple personalities. 6. 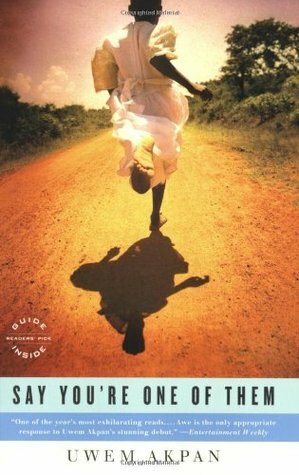 A book set in (or about) any country in Africa. This one is set in South Africa and Botswana during apartheid. 7. 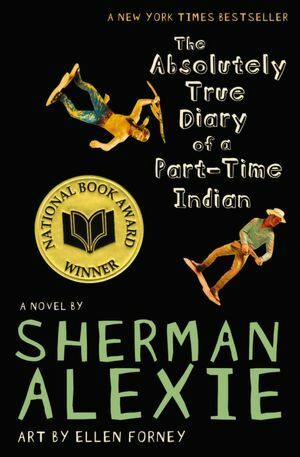 A book written by an indigenous or native author. This question made me realize that I don’t pay much attention to the racial background of the authors I read. I feel like this book is everybody’s go-to answer. I may need to broaden my horizons. 8. 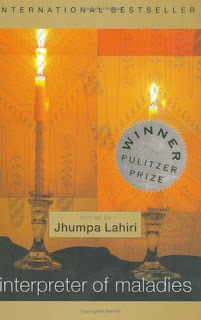 A book set in South Asia. Some of the stories are set in India. 9. A book with a biracial protagonist. I’m not sure if this one counts, but it’s one of my favorite childhood novels. I don’t remember if it explicitly states Sal’s ethnicity. Sal mentions that her grandmother, who is at least part Native American, defies cultural conventions by not giving Sal’s mother a “white” name. Sal’s parents attempt to continue the tradition by giving Sal a Native American name. 10. A book starring a transgender character or about transgender issues. 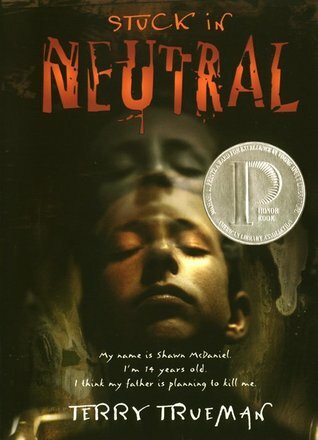 I don’t think I’ve ever read a book starring a transgender character, but another of my childhood (actually, teenage) favorites deals with gender issues. 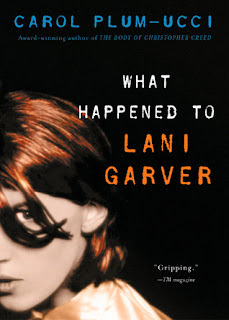 Lani’s gender is unknown to the book’s narrator, even though Lani is her best friend. If you’ve done this tag, leave a link in the comments so I can see your answers.